Michael McFadyen's Scuba Diving - Tulagi - Solomon Islands Up until the Japanese invaded the British Solomon Islands in April 1942, the town of Tulagi (or Tulaghi as it was more commonly called) in the Florida Islands was the colonial capital. After the War ended, the capital moved to the site of the United States base, Honiara, on the other side of Iron Bottom Sound. The only way to get into the Solomon Islands by commercial aircraft is via Honiara. In October 2001 when I visited the Solomons, there were problems with the airline, Solomon Air. It had its operating licence cancelled and was stopped from flying into Australia because of repeated safety breaches. It did not have any aircraft but used dry leased planes (that is without crew) owned by Qantas and Air Vanuatu. It has now apparently had its licence restored but it may only be in name only. As far as I know, you now fly on Air Vanuatu planes but with Solomon Airlines ticketing. I do not know if it is Air Vanuatu crew or Solomon Islands crew on the plane, but I suspect that the flight crew in Air Vanuatu. There is supposed to be a move to add a third flight a week (this may be in conjunction with Air Vanuatu's plan to get a second Boeing 737 in early 2004). However, the whole situation with international flights has changed a dozen times over the past couple of years so it may be different next week. In September 2009 we flew with Pacific Blue (Virgin's Pacific airline) from Brisbane. The Florida Islands (or Nggela Islands) are located about 30 to 35 kilometres from Honiara. In between is Iron Bottom Sound, a very deep (over 800 metres) waterway which received its name from the number of ships sunk there in World War II. The main islands are Nggela Sule, Nggela Pile, Sandfly Island, Buena Vesta Island and some other smaller islands. One of the smaller islands is Tulagi, a very small island located on the southern side of Nggela Sule. To get to Tulagi you need to travel by boat as there are no airstrips at Tulagi or even on the other islands in the group. Tulagi Island is about 5.5 kilometres long and one or so kilometre wide. There is a road all the way around the island. The township is located at the south-eastern end of the island, stretching from the southern most point across the island to the other side. In World War II, the US invaded Tulagi on 7 August 1942 and seized the island back from the Japanese. The Americans landed on the western side of the island and attacked the main Japanese base at the southern end. 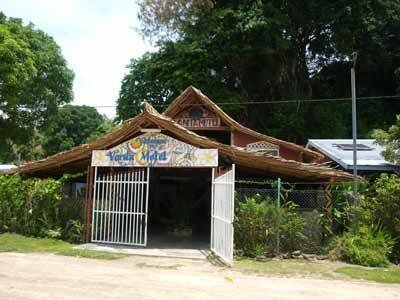 When I last went to Tulagi in October 2001 there was no dive operator here but in early 2002 this changed. See below. Note that all the prices quote here are based on SI$6 to A$1 (the real rate is better but in reality this is what you will get give or take a few cents). After flying into Honiara and transferring to the town, you are collected from the Point Cruz Yacht Club by the dive operator. It is over 42 kilometres so it will take about an hour and a quarter in the fast boat. When the winds and seas are up, it can take a lot longer. One some of my trips it has taken close to 100 minutes. It can also be a very wet trip, but the gear is protected from water and spray. 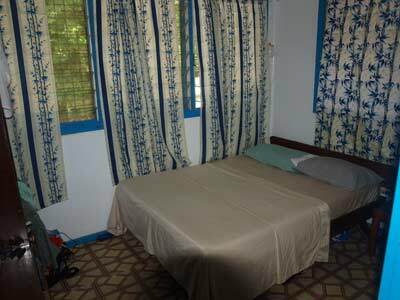 There are a number of guest houses with very basic accommodation on Tulagi. Some of these are not really suitable for divers due to their location etc. On the southern end of the island is the Vanita Motel. This establishment has at least 10 rooms. 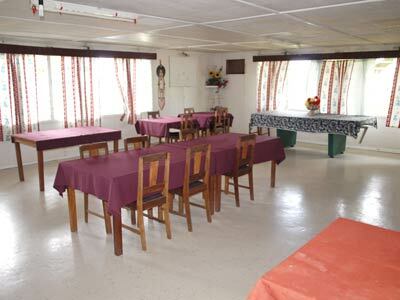 There is a mixture of double rooms with with en-suite and twin or triple rooms with shared facilities. While a total of at least 20 persons can be accommodated, due to dive limitations the comfortable number is closer to 10 (see later). The rooms vary in size, with some of the doubles appearing to be bigger. The room that Kelly and I used did not have much room, but we managed. There was a large shower and small bathroom area attached. Only cold water is available, but this is not too cold at all. There was only one powerpoint in our room, so make sure you bring along a small powerboard (like I did) if you need to charge batteries. There is a verandah as which looks over the harbour (and jetty) but in over a week staying here we did not use. There is a large lounge/living area where there are tables, chairs etc. We spent most non-diving time here. There is no powerpoint here, so when some of us wanted to use laptops to download computers and cameras, we need to hack into the power connection for the hot water urn (a double adapter is handy). There are also some tables and chairs on the other side of the road (about one car an hour at the most) on the waterfront. This was a nice place to have a drink or read a book. 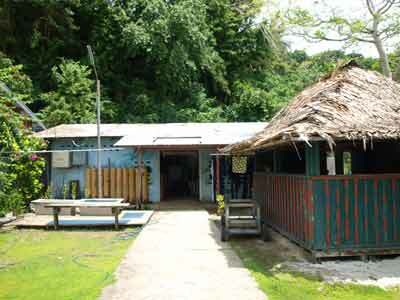 As far as I can tell there is only the one place to eat at Tulagi, that is the one that is part of the accommodation. Meals are set, with no option to choose your dish and only pay for that item. Breakfast was included in our tarrif, although this may not always be the case. We had toast, fruit and the best pikelets that I have had anywhere. This was excellent. Tea and coffee is available all day free. Breakfast and lunch were in the main room and dinner was in the adjacent dining area. Lunch and dinner are not the greatest meals, they were very plain and repetitive. There is sufficient quantity and the quality is generally good. However, virtually every day we had the same meals, lunch and dinner. Rice, sausages or frankfurts, chicken winglets and sweet potato and/or taro were on every time. We got savory mince or stir fry beef on some others. There was also fruit. However, one night we had a very nice meal, which was a more traditional meal. This had food cooked with banana leaves and lobster. One other night there was lobster. A couple of nights there was soup (tasty but not great) and one night ice cream. A couple of nights there was cake as dessert. Dinner SI$187.00 = A$31 It also has sells beer and soft drinks and a very limited range of red and white wine. Its prices are quite good. The above prices include 10% GST on the food costs. Note that when you pay for your bill, there is a 5% credit card fee. For an 8 night stay, Kelly and I spent about SI$5300 (A$878) which works out at about A$55 a day per person for food and drink. Not too bad, but considering the food, over priced. The Solomon Islands dollar is officially about 6.6 to the Australian dollar. However, in reality it is about 6 when you take into account fees etc. You can generally use Australian dollars to pay your food/drink bill as well as your (extra) diving costs. You can also use credit cards (see comments in vaiorus sections about surcharges) or Solomon Island dollars. You will need some Solomon Island dollars if you want to purchase things from the market or shops or back in Honiara at restaurants and most bars. There is an ATM machine about 10 minutes walk from the Vanita Motel. This lets at least SI$3,000 (A$500) per day to be taken out. I used this and the effective exchange rate varied from 6 to 6.25 to the Aussie dollar. It is cheaper to take out larger sums. There are also many ATMs in Honiara for your return. There is no official money exchange at Tulagi. There are a couple of small general stores that soft drinks and nibblies. We used to go for a walk to them to get chips, twisties, peanuts etc for 5 pm drinks. The best shop is located on the water on the south-west end of the island. It is about 10 minutes walk past Telekom and the ATM and left at the hospital. Twisties etc are about SI$3 each (A$0.50) each. They were fresh. There is another shop further around past the main markets. If you go for a walk you can get a drink from these places. There are far less places on the eastern and northern ends. As strange as it seems, your mobile phone will work in Tulagi if you have it with Telstra or Optus. You will probably have to manually select the carrier as the automatic setting recorded the system but did not connect. Handy to send SMS to keep in contact with family (too expensive to make calls). In early 2002 Tulagi Dive was set up out of the former dive operation that had moved from Maravagi. This is now owned by Neil Yates who is an ex-Sydney diver. They have a large Orca aluminium duck as well as a couple of smaller boats. The Orca is a very good boat. Neil prefers about a maximum of eight divers for regular divers and six full-on technical divers as these numbers make the boat more comfortable. Mixed groups of divers can be accommodated, with the deeper divers going first and the shallower divers later. For example, when I was there in September 2009, the deeper divers went out at 7 am and the ones diver shallower at about 9:30 am or so. However, some of the deeper dives can be current/tide dependent and dive times will have to be set accordingly. The operation is the old bakery next to the accommodation/restaurant. They have a number of compressors to ensure that air is always available. The wharf is straight opposite the shop and has been rebuilt. They have lots of twin set ups and pony bottles so you do not need to bring your own. There is no charge for the use of these (or extra regulators I think). I used an independent twin set up with my own BCD and regulators while Kelly use a single tank with a 65 cubic foot sling tank. They also offer nitrox. Kelly and I had a 72 cubic foot tank of 50% oxygen set up for us for the deeper dives. We left this on the deco bars (more about these soon) and collected it as we ascended past 12 metres. We used this for decompression, five minutes on and off, not to cut deco time, but to add a safety factor. This tank lasted us three dives, using for at least 30 minutes each dive. It cost about $8 per dive. 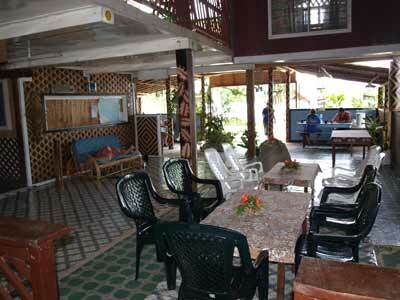 Extra dives cost SI$400 (A$64) and shore dives opposite the shop/accommodation are free. You gear up at the shop and the equipment is transported across to the wharf on a trolley. It is then a simple matter of walking over the road with your camera and computer etc and getting on the boat. On the return, you help unload the boat, cross the road, wash your computer and camera, take off your wetsuit and have a cold shower, hang it all up and return to the motel. Easy! On the matter of wetsuits, the water temperature is about 28°C for most of the year so a shorty, steamer or even a T-shirt is enough. The main dives are only about 5 to 15 minute runs away. once at the site, there are moorings for nearly all sites (and all the deep dives). A good set of bars at 3, 6, 9 and 12 metres and a cross-over line to the mooring mean it is easy to do you deco. There is a spare cylinder at 12 metres and pure oxygen to about 8 metres for emergencies. If there is a current, once all are back on the bars, they can be attached to large buoys and set free to drift in the current. Ample cool water is carried on the boats. You return back to the shop/accommodation between dives. For those diving the USS Aaron Ward, you generally get about five to six hours surface interval between the morning dive and the afternoon dive. The equal of any dive operation I have seen in the Pacific Ocean. 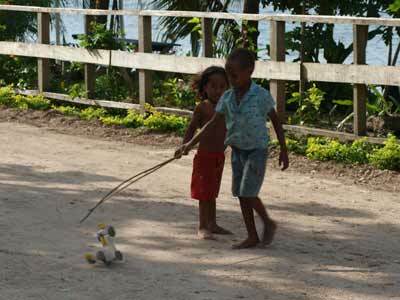 In simple, nothing, apart from walking around the island and just going for a walk. 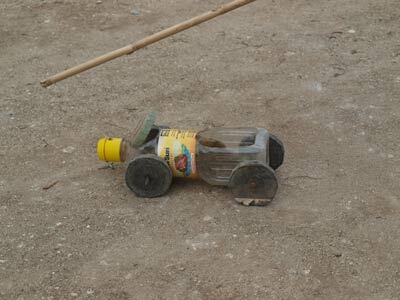 The kids are great, heaps of them had home made toy cars, made from soft drink bottles, with wheels made from thongs, axles from large nails, and connected by fishing line to a stick. Really great toys! I would not recommend bringing non-divers as it would be an expensive place to sit in a room and read a book. There are some remains from World War II to find and explore but only enough to keep divers entertained between dives. All in all, a great place to dive, with some very unique shipwrecks to dive. Go back to the Overseas Dive Page and select the Solomon Islands to see the fantastic ships that you can dive.